Having a party that will last into the evening? 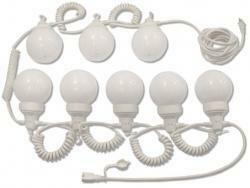 Rent our string of 8 globe lights to provide lighting. One string of globe lights will light one 20' x 20' tent.